It’s been hot so I rest lots. Sammy hangs out with me also. Sometimes he rests where I’m resting, but lately he has taken to sleeping on one of the tractor seats in the coolness of the tractor shed. CHASING IN THE FEDEX TRUCK! But the other day, while Mom and Dad were gone somewhere, I decided it was time to check out the farm. I figured I wouldn’t go too far. I would stay close enough I could hear the family car coming down the long lane to house and be back in time. I had a great fun out there…found out all sorts of news, things that were happening on the farm, you know stuff. I made it home just before Mom and Dad got back. She gave me a bath…TWICE! TWICE! She took away all the wonderful perfume…dang it! 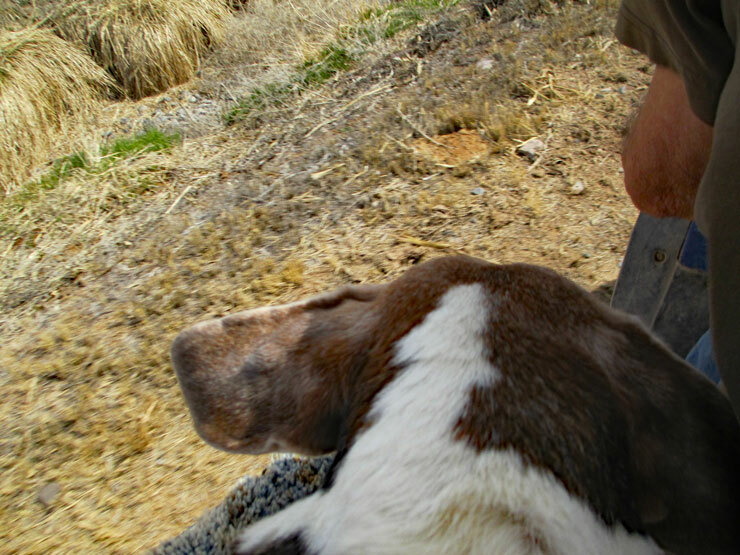 This entry was posted in Adventures of Boomer, Fuzzy & Boomer and tagged and Sammy-Sam, Beagle, Boomer, life on a Colorado farm, rolling in nasty stinky stuff, The Adventures of Boomer on Friday----Mom Pronounced me WELL by Dayphoto. Bookmark the permalink. Oh Boomer – Glad to know that you are back and rolling fine. Oh my! Twice! It must have been “good”…. Back in the saddle Boomer showing your true nature of what a hound is or any pooch for that matter. Yay! Mom is happy or not. Boomer, I’m glad you’re well enough to go out and check the farmer news. It’s too bad about the baths, but Must say I’m not surprised. Boomer, so glad you are all well!! You just had to prove it by getting a good roll in something juicy, huh?!!! But just think of all the nice rubs you get while Mom is giving you a bath…twice!! Just be careful when out finding the news, ok?! Oh Boomer, we are so glad you are well!!! Take it easy and don’t have a relapse! Hope you know what a wonderful Mom you have. Love her! Our Fed ex and UPS man carries dog treats, when he stops he throws out a handfull to us dogs. How I remember those rolling days with our long-haired cavalier King Charles spaniels… they loved cow pats particularly – and the day when One scampered inside, leapt on the bed, and rolled on my pristine white quilt… nuff said…. ACK!!!!!!!!!!!!!!!! What a mess you had! J > Aye, Boomer, it’s too hot for me too. 22degC in the shade today – and high humidity, too. Glad to hear you’re doing better Boomer. Sorry about the bath though.